All members were sent the code via email, if you didn't receive the email, please contact Sheila Larin for the code. Order now and save $10 off the regular price. 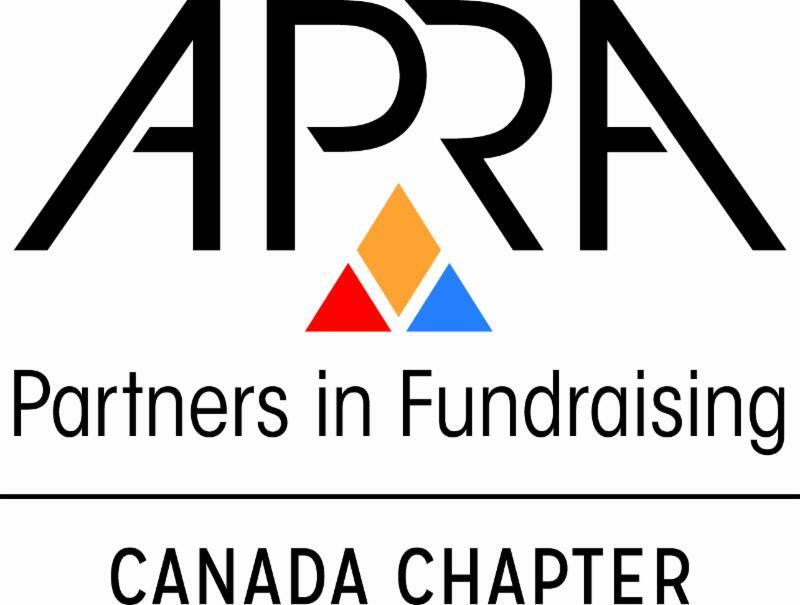 Apra Canada members save an additional $20! Get discount code from APRA Canada before you order. Orders will be shipped and this offer will end when the books arrive from the printer in early October. The launch of Prospect Research in Canada: An Essential Guide for Researchers and Fundraisers coincides with the 15th anniversary of the Canadian Chapter of the Association of Professional Researchers for Advancement (Apra Canada). Intended for fundraisers and researchers just starting out with prospect research, this book is an invaluable resource for those needing to establish training and guidelines for their organization or educational programs. It also offers a wealth of information for those from the private sector who realize the unique skill sets required to successfully conduct research in Canada. In this book, 30 skilled contributors share their front-line experiences in the field of prospect research. Through their words and knowledge they reveal why Canadian researchers are not only specialists in their field, but also passionate about ethics and standards and continually improving a profession that they love. Edited by Tracey Church and Liz Rejman, this book was made possible due to the generous sponsorship support of Apra Canada (Association of Professional Researchers for Advancement, Canada). Learn more and pre-order your copy here for delivery in mid-October. "...should be in every fundraising organization's list of essential resources." 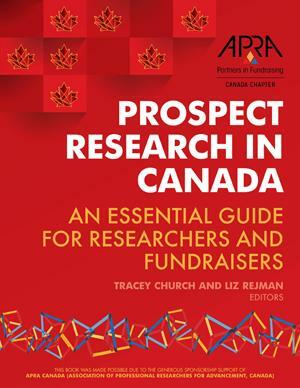 "Prospect research is the secret opportunity and this guide will help to ensure that more charities are able to be more effective in their work..."
"...a Canadian resource for prospect research to give us a truly Canadian perspective on this key role in any fundraising shop."